Photo Gallery #53: Click edit pencil to get the selected gallery name. 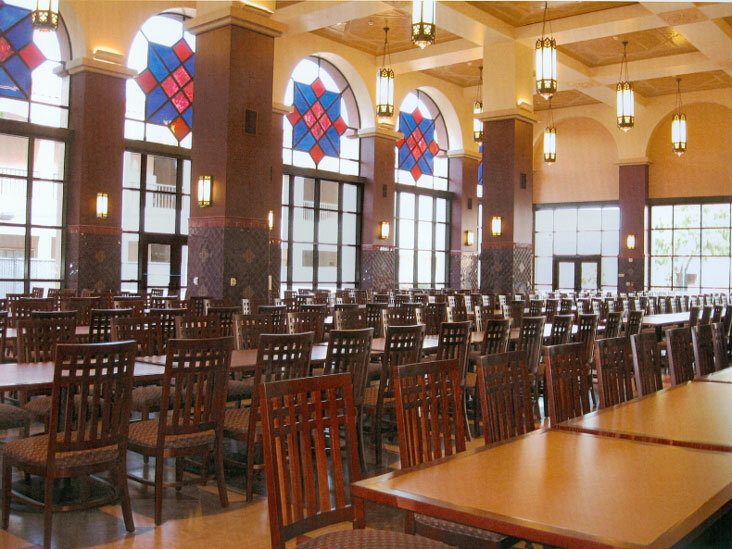 Project: Fullerton College Campus Center, Fullerton, Calif.
Fixture: Traditional gothic pendants and sconces feature ornate cast aluminum details paired with energy efficient lamp options. Compact fluorescent lamps illuminate the diffuser and provide ambient light while metal halide lamps provide downlight.